보노플라이 선착순 할인 제품은 국내까지 모든 배송비가 포함된 가격이에요 ~!! 미국 스벅 매장에서 직접 구매하여 배송해 드리는 상품이에요. 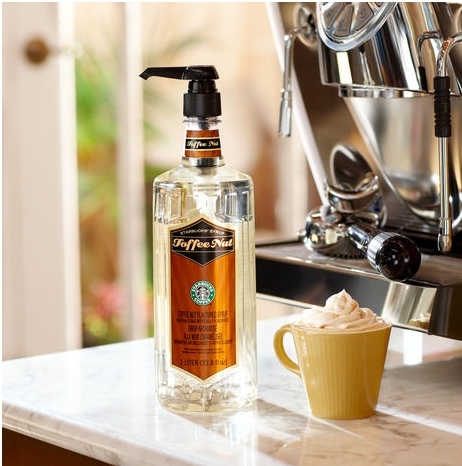 A 1-liter bottle of sweet, buttery toffee nut flavored syrup to flavor your coffee or latte at home or the office.